Is anyone else out there thinking about Valentine’s Day yet? I don’t know about you but when I take all my holiday decor down it can feel a little depressing. I love decorating and crafting for Christmas so much that in the chilly days of January it helps me a bit to think forward to Valentine’s Day and even springtime plans to keep my creativity flowing. 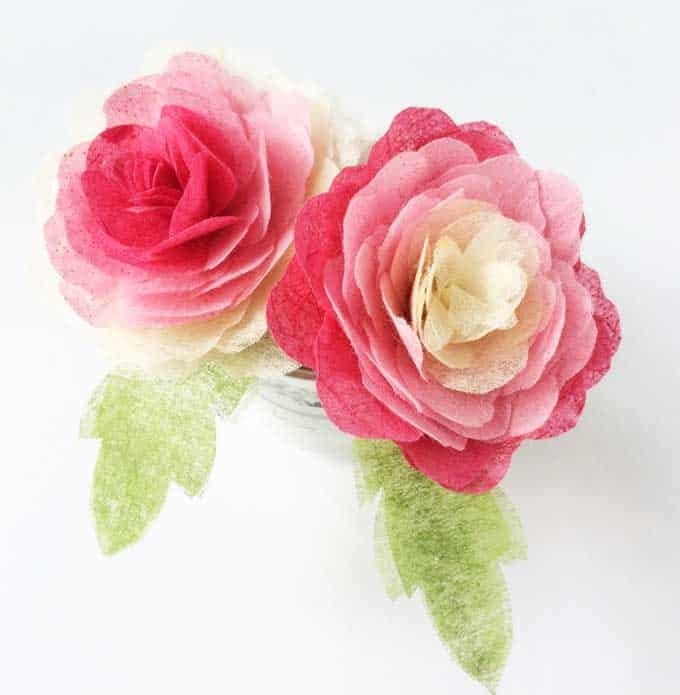 Today I have a little DIY Tissue Paper Ombre Rose craft tutorial that would be perfect for Valentine’s crafting. How beautiful would these be combined into a garland or on a grapevine wreath? The possibilities are endless! I made these with tissue fabric which I later realized I purchased overseas (oops!) and I couldn’t find a good equivalent for online here. You can also use any lightweight material. A light fabric, tissue paper, or even paper would work. 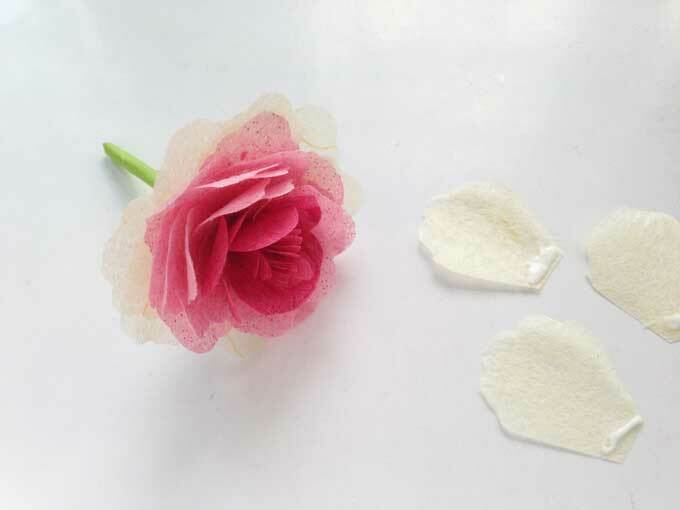 If you choose to use cardstock for the petals you may have some difficulty getting a natural curve to the petals but it can be done! Print and cut out the petal patterns from the template. Cut out 8 small petals, 10 medium petals, 12 medium-large petals and 16 large petals. 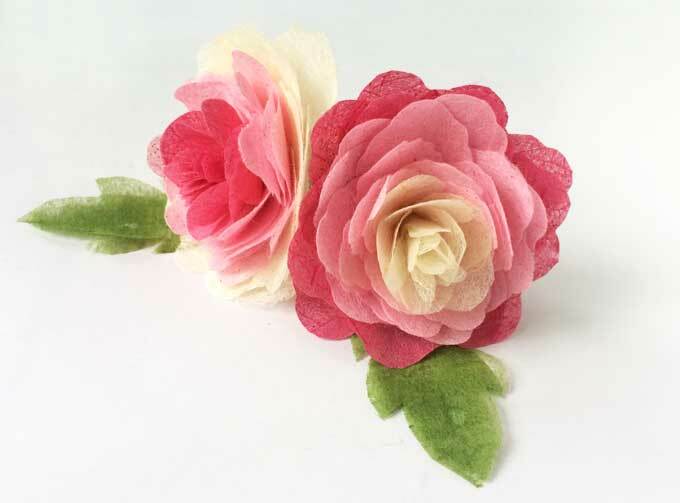 Select at least 3 shades of similar colors of tissue paper for the flower. 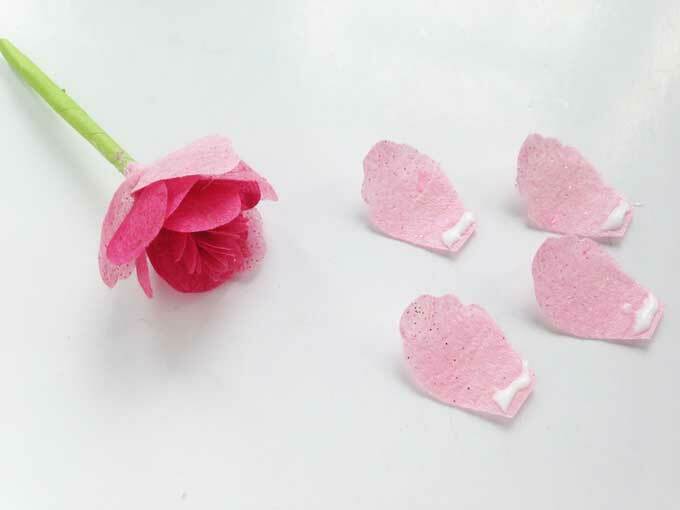 Trace the petals on the tissue fabric (or whichever material you chose) and cut out the petals out of them. Either start from the center with the lighter shade and use darker shades for the outer edges or do the opposite. 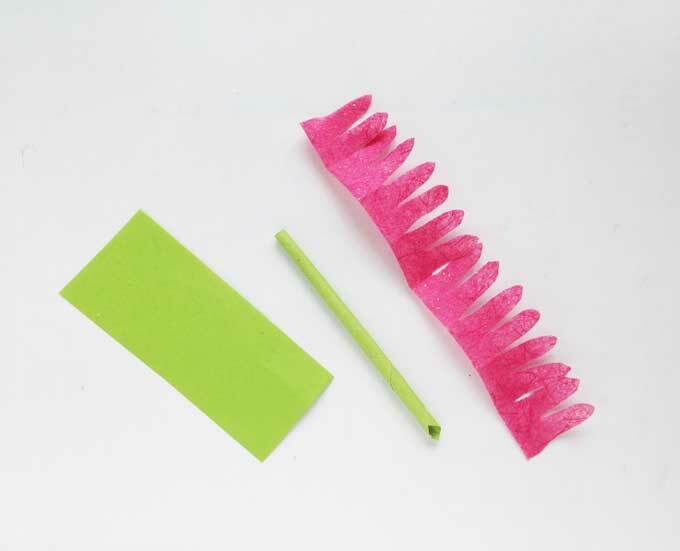 Use a green craft paper to cut out a rectangular piece and roll it into a straw pattern to create the stem. Glue to hold the shape if necessary. 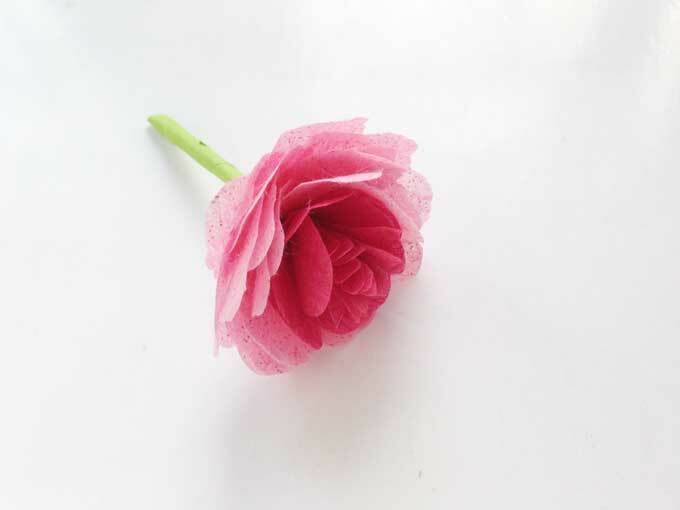 Use the fabric chosen for the center petals to cut out a strip and create fringe on it with round edges. Apply glue on the base of the fringed piece and roll it around the stem near any one of its open ends. Time to add the petals! 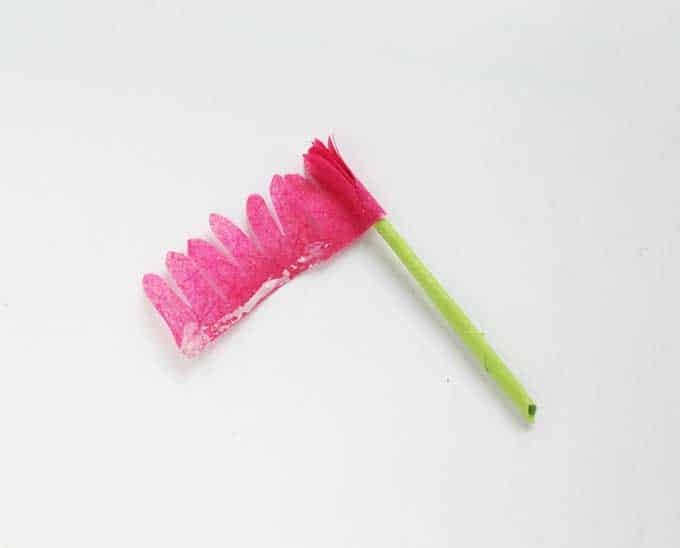 Firstly, glue the smaller petals around the rolled fringe. Keep in mind to keep a nice blooming pattern while adding the petals. When you’re finished adding the small petals, start adding the medium, then the medium-large petals. Once again, make sure to create a nice blooming pattern while arranging the petals. I used the same shade for the medium and medium-large petals. Finally, for the last layer glue the large petals. 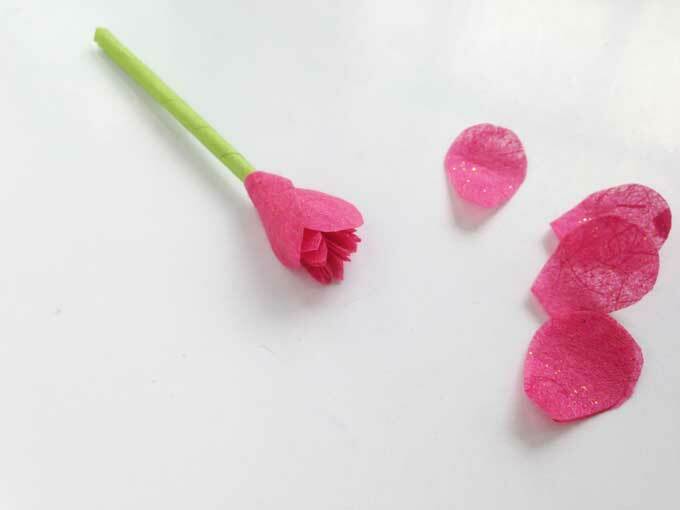 As this will be the last layer make sure to add the petals neatly to give the flower a nice finished look. In case you use craft glue, wait until the glue dries entirely or you can also use hot glue for a faster craft. 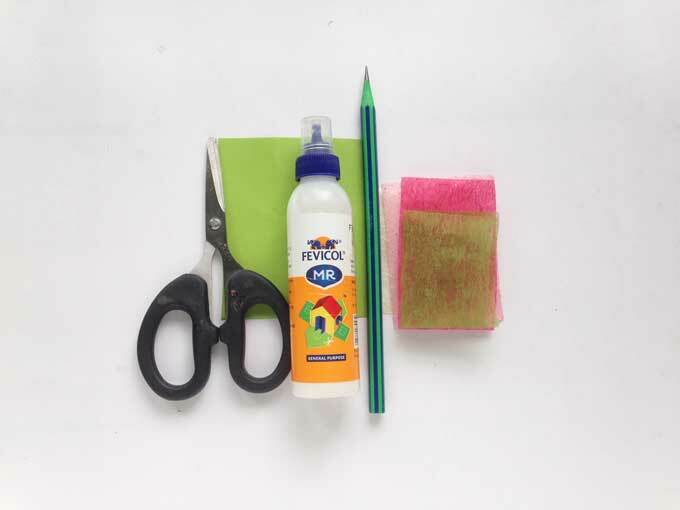 Create leaves from green tissue paper or fabric. Use different colors and shades for variation. Aren’t they gorgeous? 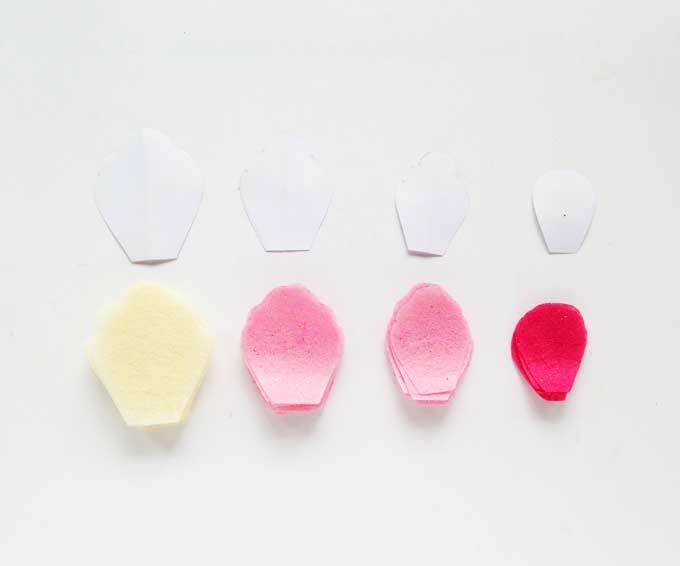 How would you use these DIY Ombre Flowers in your Valentine’s decor? Explaining concepts through animation is now being widely used throughout the industry of video making, but do you want yours to be theAnimated Videos For Business?